I have been running a WRT320N wireless router for the past few years. 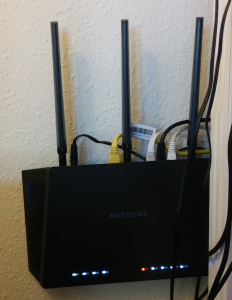 It has been rock solid and had no problem handling my 60/60mbit internet connection when using wired clients. The router was not so great at the wireless speed though. I have been running custom DD-WRT firmware on the router, because I like all of the customizations and possibilities it gives. – Dual Band router. It should do 2.4GHZ and 5GHZ at the same time. 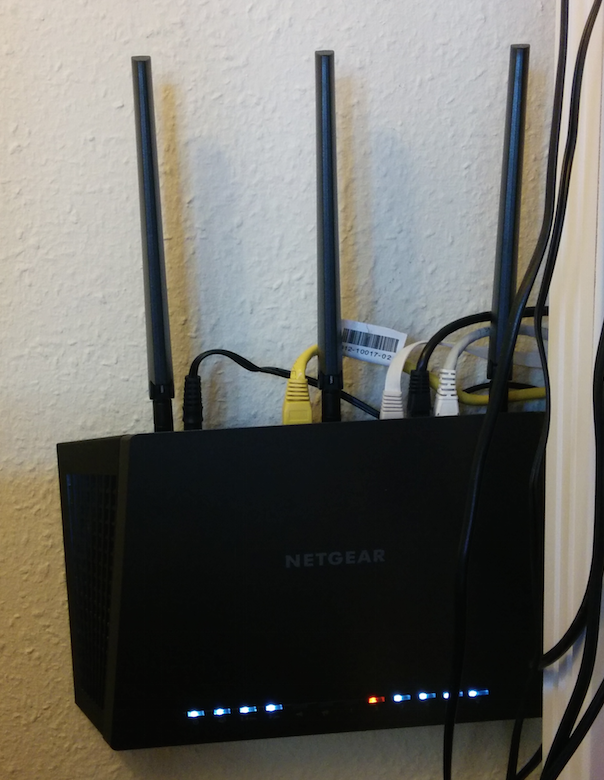 After a little research I quickly discovered the Netgear R7000. It was the number one router on smallnetbuilder.com in the AC1900 category. I moved on to the DD-WRT firmware and people stated it was stable with the “kong” builds. By looking at the specs and the forum this seemed like the perfect fit. I decided to give it a go and bought it right away. When the router arrived the first thing I did was to flash it with DD-WRT Kong Build 24200. It was extremely simple, done through the web interface. I then decided to test the wireless speed on both with speedtest.net. On the 5ghz network I instantly pulled 60mbit down and up! Hurrah! Finally the internet was my limitation and not the wireless network. I tried connecting to the 2.4ghz and I did not see the same performance. As I mentioned my neighbourhood is extremely crowded with wireless network and this hurts performance. I then tried to copy some files from my local synology nas to my laptop and I experienced 20MB/sec! On my old router I used to see 4MB/sec on a very good day.